With Smart Speaker ownership in Australia increasing by 98% over the past 2-years (500K in ‘18 compared to 10K in ’16) with this likely to reach 3-million by 2020, it seems that voice controlled and smart homes are here to stay. With the leading brands in Australia being Google HOME, Amazon Echo & Apple HomePod. You might be wondering what the impact will be for us in the Electrical & Data Industry? Whether you are an electrical wholesaler, installer or a business serving customers with electrical and data services, if you are smart about it (pun intended), it is a lucrative market. With every new (smart speaker) model comes a significant growth in the devices they control. We know from being a distributor of Philips HUE lighting that when Google HOME was released in '17, Philips HUE sales increased 3x. And when Amazon launched Echo & Apple launched HomePod in '18 HUE sales increased 7x. But it's more than just lighting these Smart Speakers are controlling, many of the uses are covered in this article, in summary though, the number one command made to the speaker is for music and song requests, lighting follows as the most continually controlled device, followed by setting a timer & accessing news. 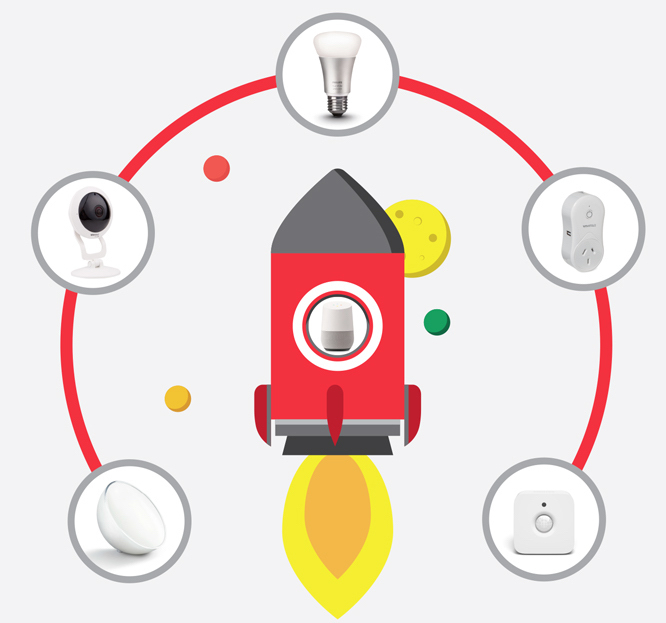 Experts predict that Smart Home Security products will be the next big thing that Smart Speakers will be controlling, we’ve seen the prominence of app-enabled home security products at all the recent International Electronic Tradeshows. Tom's Guide has written an article on the best smart devices available in the USA, most of these products are also available here. The Australian electrical and data industry can be leaders in the Smart Home field, our strength is in our technical knowledge and personal connection to customers. We can be a trusted source of technical information and can offer the latest products, whether they be DIY and installer products. And as we all know, regardless of how wireless or smart the world becomes cables will always be at the backbone. Keep up to date with the latest news from our industry, choose your way to stay in contact.